Every business needs a website, but every business does not need a fully custom website with all of the latest bells and whistles. 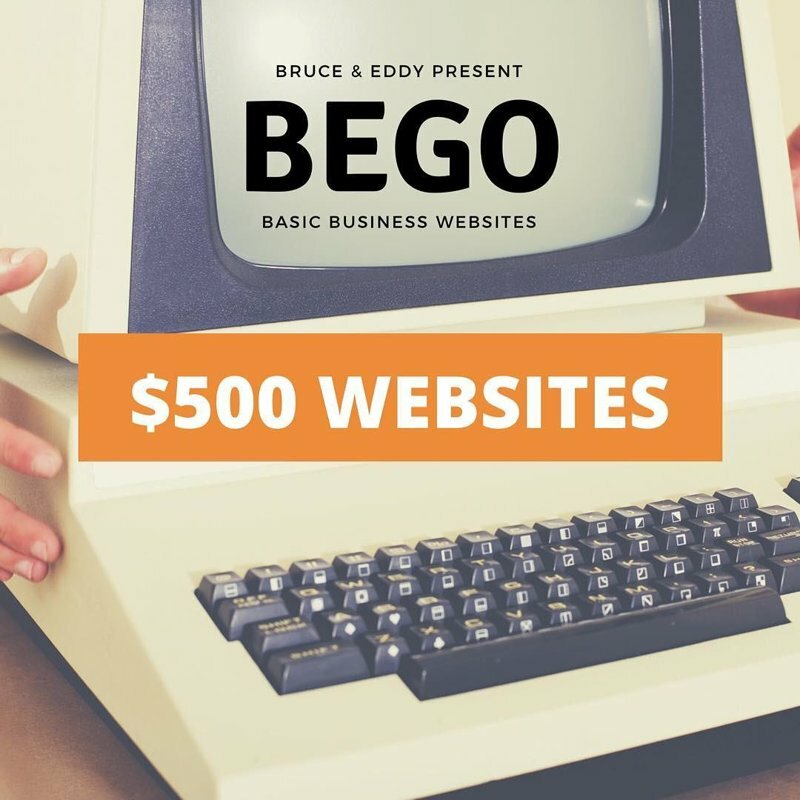 Bruce & Eddy is now offering Basic Websites for Businesses. BEGO is designed to help get your business online quickly and without any headaches. Each website comes with 4 pages for the one-time setup of $500. Add additional pages for the one-time cost of $125 each. Take full advantage of all of the features for one low monthly price. The monthly service fee includes unlimited content updates to existing pages, free hosting, a free domain name, and free https encryption. No contract. Most business websites cost $5,000 to $10,000+. These sites are sophisticated and are designed to be a lead magnet that converts visitors into customers. These sites are great for growing businesses. At Bruce & Eddy, we build custom websites like these every day. But, every business is different. Some businesses simply need an online business card or an online brochure. This is where BEGO comes in! When you get a BEGO website, we handle everything. We have been building business websites since 2004. We have perfected our craft and can quickly produce a website for your business that communicates your messaging and matches your company brand.